Wait, what? It's finally here? Nope, still in beta, but it sure is coming. 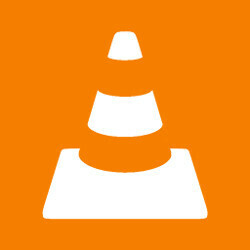 The VLC 2.9 Beta client is adding the long awaited by users Chromecast support. It's also a bit ironic, given the fact this feature was first implemented in the iOS version of VLC, way back in 2015. Although still in experimental stage, the feature allows you to stream both local and internet content from your Android powered device to your Chromecast. There might be some issues present, as the option is still in its infancy, so no point to be annoyed if you happen to encounter one yourself. For example, it's already been reported that streaming from an internet source could be problematic, but streaming local content is as smooth as it can be. Other features worth mentioning in the 2.9 beta are playlist files detection, SD card files deletion and Chromebook and Samsung DeX support. You can access the beta through the Play Store only if you're in the testing program. Otherwise, you can manually download the APK here. Any chance it supports UHD on the Chromecast Ultra? We don't know yet, only time will tell (or VLC itself). This would make me finally switch to VLC for Android if true.